The summer tourists have departed and there’s plenty of room on the beach. But the heavy equipment that was expected to be plugging away at a massive beach replenishment project is sitting, for the most part, idle. A series of storms and days of heavy surf, as well as an incident last month in which a pipe burst under the pressure of sand being pumped to shore – injuring workers – has taken its toll on the project’s progress. Pressing needs in other locations have also stalled the project on Ocean County’s northern barrier island. The first day of this week began without any sand being pumped to shore. According to the U.S. Army Corps of Engineers’ Philadelphia district, there are three replenishment and dune-building projects on the island that are underway simultaneously. The first, in Mantoloking, is expected to restart Tuesday. The dredge boats assigned to that project, the Magdalen and RN Weeks, have been in Long Beach Island working on a replenishment project in Harvey Cedars, but recently completed that work. The Seaside Park portion of the project, which was hampered by repairs required after the pipe burst as well as foul weather, is also now the victim of a busy dredging schedule. The boat responsible for replenishing Seaside Park’s beaches, the CR McCaskill, is “finishing another job in NY, expected to resume beachfill operations around mid-October,” the Corps said in an announcement. In Ortley Beach, where the most sought-after project has been about half-completed, has its dredge boat, the EW Ellefsen, on site. Pumping was not taking place on Monday due to large ocean swells, but it will resume as soon as conditions permit, the Corps says. 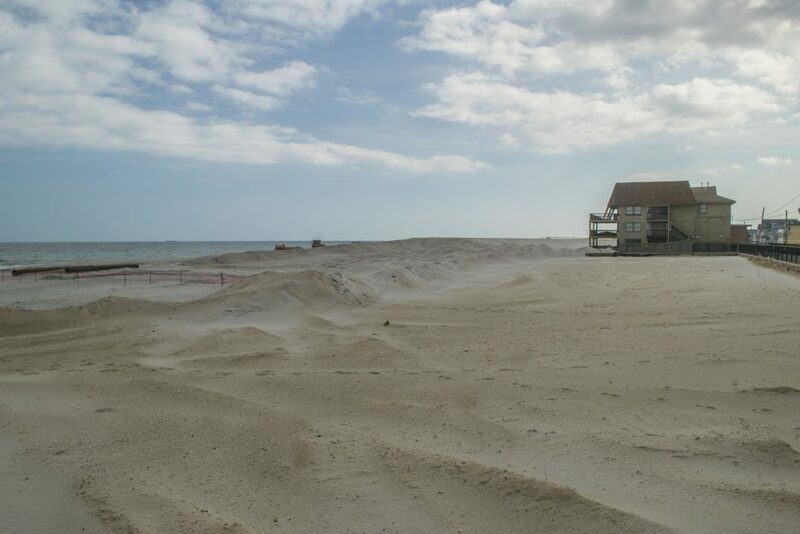 Meanwhile, Lavallette officials are still expecting the overall project to move forward at a pace rapid enough to guarantee the beaches will be replenished, the dunes will be built and entrances will be in place by the spring. Mayor Walter LaCicero said at a council meeting Monday night that representatives from the Corps told him to expect work to begin in the borough in November or December, with operations continuing into February or March. The borough, he said, is also looking into new options for benches along the oceanfront and may work with the town’s Beautification Committee on a memorial sponsor program.